Olm is a Mac Outlook data file incompatible with Windows Outlook. That makes it difficult for email migration. Find out how you can import Olm into Outlook 2010 for Windows, without any issues. Users quitting Mac and coming to Windows often find themselves stranded when it comes to changing their email client. The regular data files (non-email related such as audio, video, images, etc) either have programs or apps to open them in Windows, or there exists some method that can easily help users transfer these files to Windows environment and work with them easily. That’s not the case with email data files. Even two clients developed by Microsoft (Mac Outlook and Windows Outlook) seems to not get along with each other. As said above, Olm file (data file for Mac variant of Outlook) is not recognizable in Windows variant of Outlook (which supports only Pst file). That’s why switching email apps can be hard, but switching the entire platforms can be absolutely exhausting due to the lack of proper email migration tools. Since Outlook is the most widely used email client in both Mac and Windows, the migration of email data is also the most for these two clients. You must be here for the same reason. Do not worry. If you are switching to Windows Outlook, but not sure how to import Olm into Outlook 2010, this articles is here to help. How to Import Olm into Outlook 2010 – You Can’t! Let’s take a look at these two methods. This makes use of the IMAP technology that can sync the emails from server to clients. So you simply create a new email account, add it to Mac Outlook, sync data to server. Then, in Windows outlook, add the same account, and now the data is in the server, which you can sync back to client (WO). Note* – If you have an Olm file, you first need to upload it to your Mac Outlook for the data to sync to server. The second option is simpler, but requires an additional installment of a third party tool, free or paid. These tools allow you to directly convert Olm file to Pst, and then import Pst file to Outlook 2010 Windows. Note* – If you don’t have an Olm file, but have the data stored in Mac Outlook database, you first need to archive it to an Olm file. This is diametric to the note above. Using these two options you can, in essence, import Olm into Outlook 2010 Windows by – converting the file to Pst OR through the IMAP server method internally without creating Olm or Pst files. However, there is also a third option. Enter Gladwev Software. Then comes the third option, the best, and most effective answer on how to import Olm into Outlook 2010. Which is what Gladwev Software (software solutions company for email migration) provides by the tool called “Olm to Pst Converter Ultimate”. What Ultimate does is it neither converts Olm file nor use an IMAP server method or any other such technique – but loads the identity database folder directly and convert it to Pst files. There are several benefits of going through route, such as increased accuracy (because you target the source without anything in between), intuitive (just click “express” and the tool loads the data itself), and much faster rate for data conversion. “Olm to Pst Converter Ultimate” really does put an end to all those things listed above. Through its smart logic to detect database directly, intuitive interface design, impressive support 24×7, and ability to convert data thoroughly – it finally provides much needed relief in the area of Importing Olm into Outlook 2010 Windows. Unlike the other regular Olm to Pst Converters, Ultimate holds some notable features to make the migration more effective. These features help you make the tool’s behavior fit to your needs, give you more control, and make the output Pst files usable. There is an option that lets you set the size limit for the Pst file. Oversized Pst files can get harder to Import to Windows Outlook. The way this feature works is you simply set the limit (should not be over 15Gb), and the tool will create a second new file if more data than the allowed limit has to be converted. So if the database of Mac Outlook is 25 GB, and you set the limit to 10 GB, then the tool will convert it to 3 Pst files of two 10 Gb files and one 5 Gb. Note* – It is not necessary that the converted Pst files will be of total size as the source database of Mac Outlook. If you have been using Mac Outlook for a long time, there might be many folders inside your Olm file or the database. Is it necessary to convert them all into Pst Outlook 2010 files? If not, you will be disappointed by the ordinary tools since they unlikely to let you convert selective folders. Ultimate on the other hand shows you all the folders inside the files, and you can mark them for conversion. In fact, you can even ignore the empty folders and they will automatically be excluded. This helps make the conversion smooth and organized. Outlook is sometimes called information manager, and not email client. Lately all such clients have been expanding their functionality and what you can do with them. Such as they can be your digital address book, calendar app for creating schedules and reminders, creating tasks, distribution lists, etc. Therefore, it makes sense when you import Olm into Outlook 2010 windows Pst files, not just emails, but all these other items also get transferred. Ultimate does it perfectly well. The self-detecting logic does its job and detects the type of contents inside each folder and convert them accordingly into Pst files. It also allows to convert multiple contacts and calendar data to their respective default folders in Windows Outlook address book and calendar. 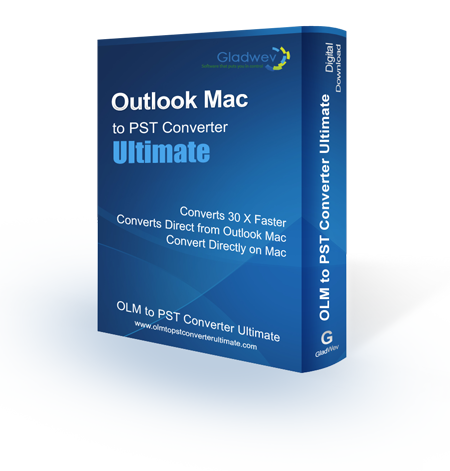 It has been said above that Ultimate is able to convert emails, contacts, and calendar data and all other items from Mac Outlook to Pst files directly from the identity folder. However, you might be having another concern relating to how accurately or extensively does it convert them. Because email data is very complex. There are a lot of information snippets inside them that needs to be converted. And they need to be converted without losing the integrity. No one wants to see the emails being converted but the information like sender and receiver details, embedded images, attachments, headers, etc. being lost or corrupted. Ultimate does. It has all the logic and codes required to deal with the non-English text conversion. You won’t find a single line of text being broken, regardless of the language it is in. Windows Outlook 2010 (and even other versions) have been very popular for managing emails and other information. Unfortunately, there is no official word on how users can transfer their data from its Mac variant or directly import Olm to Windows Outlook 2010 without going through any intermediary steps. But with Ultimate, it doesn’t matter anymore. It is very intuitive and quick to use for the job. The entire package including the 24×7 support is very professional and won’t let you have any problems during migration. The free trial version will make it more clear to you. Experience it personally, and notice how it deals with your personal data and your computer to get a better idea. If you feel the need to ask anything, don’t hesitate to contact the support team.